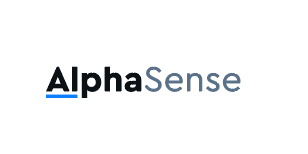 NEW YORK, March 28, 2019	(Newswire.com) - ​AlphaSense announced today the hiring of Bryan North-Clauss as Vice President, Financial Services Sales. North-Clauss will be responsible for all sales to buy-side and sell-side clients, leading a global team. He reports to CRO Kiva Kolstein. "As we continue to expand our platform to meet the challenges of the largest hedge funds, asset managers, and investment banks Bryan brings a track record of success selling to and servicing some of the biggest financial services companies," said Kolstein. "I’m extremely excited to have Bryan join AlphaSense. His energy and experience implementing the processes and systems required to scale global financial services sales organizations will lead to our sustained growth for years to come." North-Clauss has more than 20 years of financial services experience. He was most recently Managing Director, Head of Fixed Income Sales & Financial Engineering, Americas, for Natixis. Prior, North-Clauss was Head of US Interest Rate Sales at Deutsche Bank, and he worked at Morgan Stanley as Head of European Interest Rate Hedge Fund Sales in the UK, and as Head of Government-Sponsored Enterprise (GSE) Sales in the US. At the start of his career, he founded JobDirect.com, a technology-based college recruiting company. North-Clauss holds an MBA from Duke University and a BA from Connecticut College.